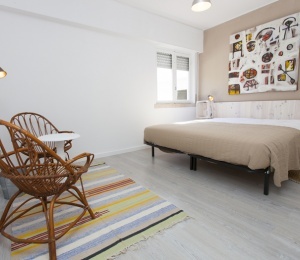 This is the right place to stay for those who want to split the day between surfing and discover Lisbon. 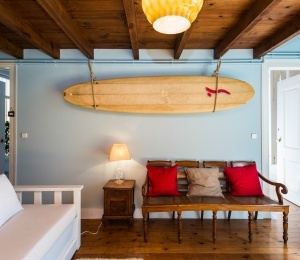 This Surf Hostel in Costa da Caparica stands in the midst of pine trees, a large natural lawn, swimming pool, tennis court and a lounge space. Learn to surf in Costa da Caparica, the closest place from Lisbon to start your surf lessons. This property is 12 minutes walk from the beach. 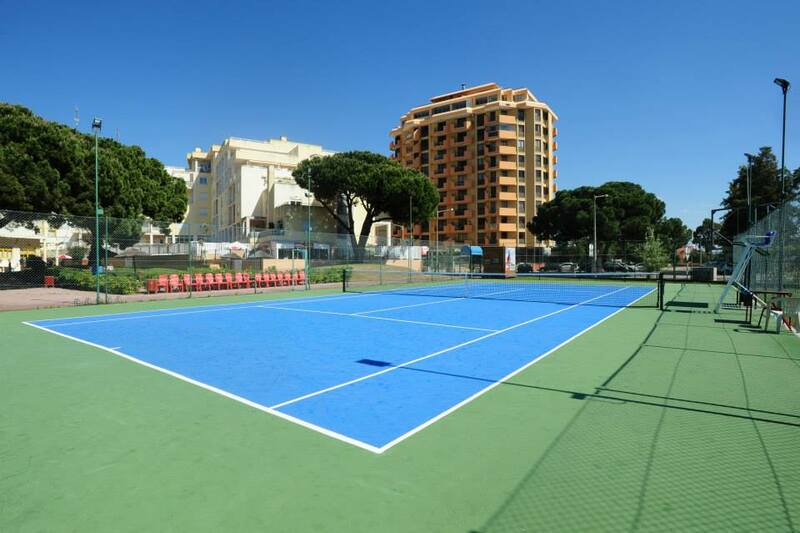 Caparica Sun Centre is an excellent option for those who like the proximity and tranquility of the sea while being close to the capital city of Lisbon. Costa da Caparica is located in the south side of Tagus River and has the Lisbon's most popular Atlantic beaches. The Costa da Caparica coastline is simply amazing, and is famed for the largest continuous beaches in Portugal, with golden sand over 18Kms, with ,surf spots for your first surfing experience or just for improving your surf skills, and also, to have much fun. Costa da Caparica it's surrounded by nature, 24,2% is forest of which local Fossil Scarps and protected landscape. By day colourful fishing boats are hauled onto the beaches to sell their fresh catch on the local fish market, while by night these same beaches play host to uber-cool beach parties. 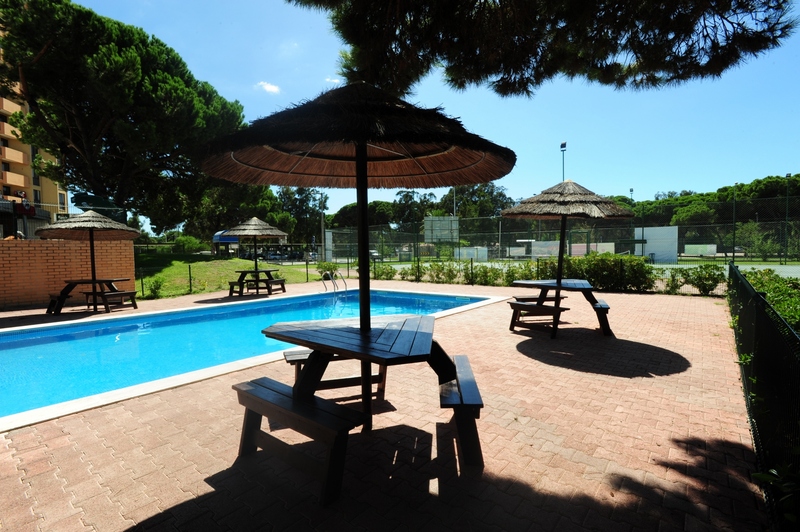 All of them, are less than 20-minute drive from Lisbon International Airport. Costa da Caparica "Water sports, Nature and Urban life"
Caparica Sun Centre is 12 minutes walk from the beach. Located just a mere 10-minute walk from the beaches of Costa da Caparica, Caparica Sun Centre is an excellent option for those who like the proximity and tranquillity of the sea while being close to the capital city of Lisbon. The centre of Lisbon is a 15-minute drive while Portela International Airport 17 km away. Costa da Caparica is the closest surfing area from Lisbon just 20 mins driving from city center. It has more than 30 different spots along 10 kms of sandy beaches. A huge diversity of waves makes it possible to find the exact wave for each one's level, from total beginners to expert tube riders. All the spots are beach breaks perfect for learn to surf in very safe conditions. Our surf instructors will take you to the best spot of the day to make sure you surf the most appropriate waves for your level. When the swell is big, perfect waves arrive to Caparica and offer some of the most perfect long waves in Portugal. SURFINN © 20-04-2019 04:43:08. ALL RIGHTS RESERVED.